Fifth wheels are a great option for anyone looking to enjoy the freedom and flexibility offered by RVing. With these unique RVs your trailer hitches into your truck bed to tow and unhitches so you can enjoy using your truck to get from place to place whenever you reach your destination. These sturdy coaches are known for their durability and easy handling because of their hitch point over the rear axle of your truck and offer you every comfort you would find in a hotel room, plus more. At Fun Town RV we take great pride in helping families find the RV that meets all of their expectations at a price that beats even the best RV show. 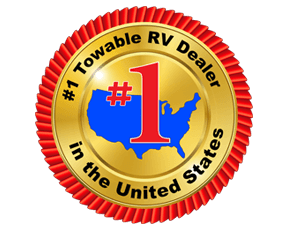 Contact us at the top RV dealer in TX for help finding your next RV and for answers to any questions you might have.